Welcome to the Internet's unofficial electro-abode of Broadcaster Steve Wright were we present a nostalgic glance back into the Afternoon zoo-style miscellany that became "Steve Wright in the Afternoon". All the clips on this site (both video and Audio), require Real Player which is available free by clicking on the link below. 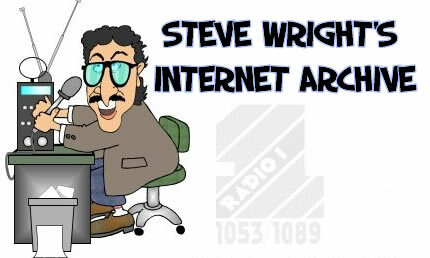 If you have any comments about the site or any recorded material from Steve Wright and would like to contribute, please email the Webmaster.